Are you struggling with an issue with the IRS, Social Security Administration, VA, or another federal agency? Do you have a suggestion or action Congress could take to help your family or community? 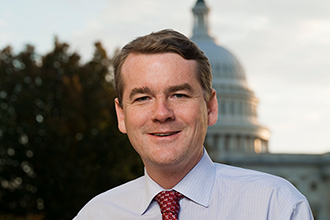 If so, then Colorado Senator Michael Bennet invites you to meet one-on-one with his staff. A Bennet constituent advocate will meet one-on-one with constituents in Eads September 28. An appointment should be scheduled to ensure a meeting time. To RSVP - send an email to Dwight_Gardner@bennet.senate.gov and include a brief description of the issue you want addressed, as this will help staff members assist you. If you are already working with someone in Bennet's office, include that information in your email as well. One-on-one meetings will be held September 28 from 11:30 a.m. to 1:30 p.m. at the Kiowa County Courthouse in the County Administrator's Office, 1305 Goff Street, Eads.